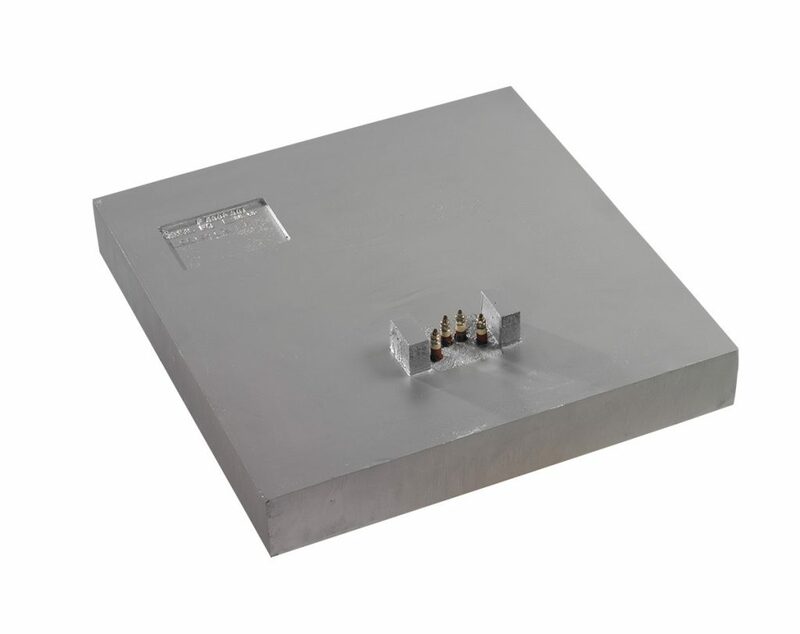 The cast-in heating plates and heating bands consist of one or several electrical resistances embedded in a block of aluminum, brass, bronze or cupronickel alloy providing excellent thermal conductivity. 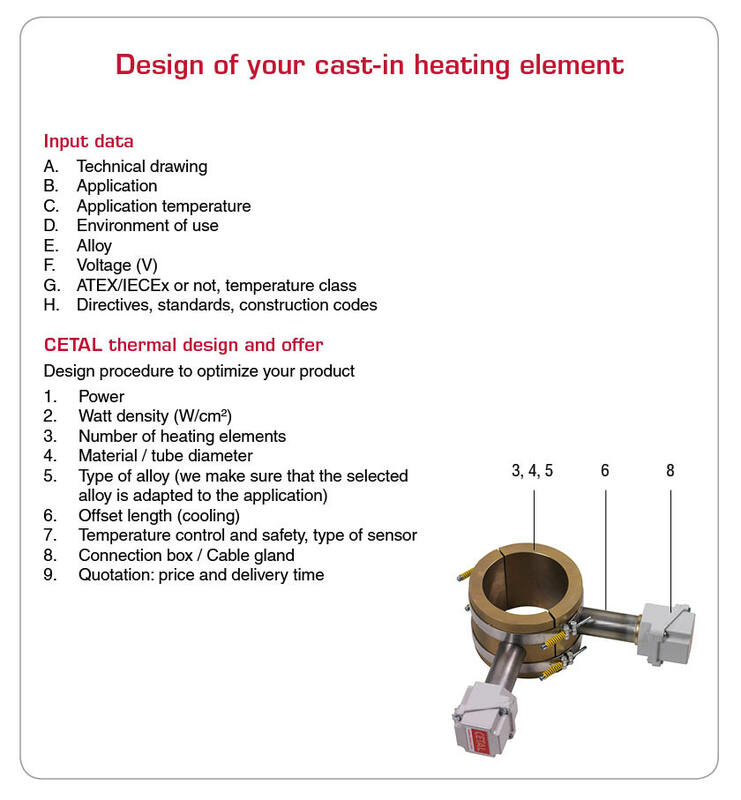 Cast-in heating elements are ideal for applications requiring homogeneous indirect heat. 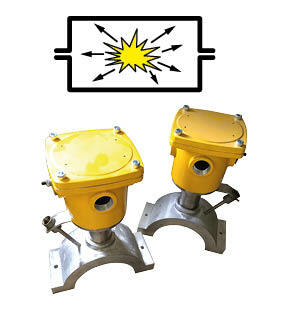 Cast-in heaters are often used in plastics industry, packaging industry, food industry and many others. 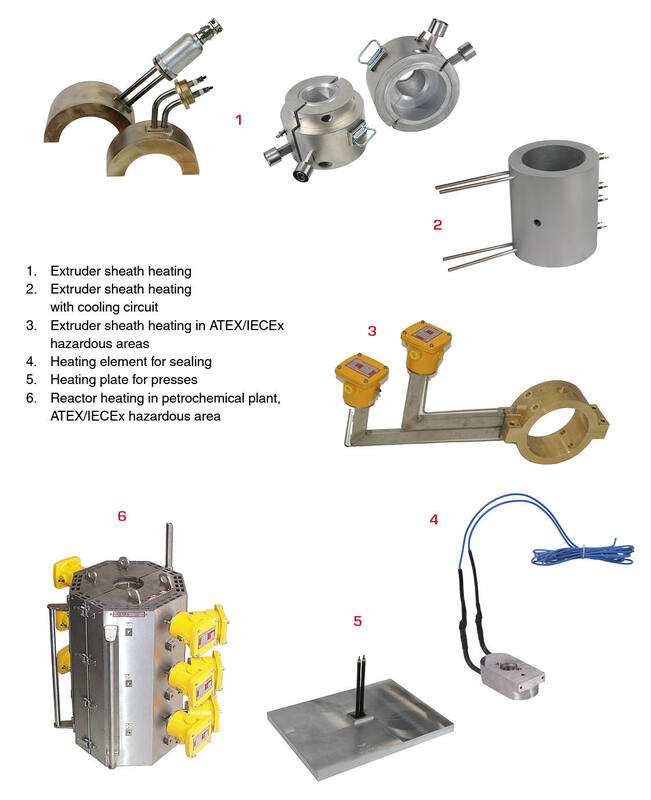 Usual applications: heating plates for presses, extruder dies and sheaths, heating plates for homogeneous heating (rubber, aerated concrete curing), sealing on packaging lines, mills. Gravity moulding ensures an excellent material homogeneity and thus a perfect heat transfer. Constant surface temperature is achieved through appropriate forming. As this is indirect heating, the heating resistance is protected. The solid or fluid to be heated is not in contact with the resistance. Heating elements can be fixed on a screw or flange or simply fixed to mechanical structure such as for cast-in plate as illustrated. Aluminium : Up to temperatures of 400 °C, the most widely used alloy. Brass (600°C), bronze (650°C) or cupronickel (650°C – 750°C) for higher temperatures or in case of mechanical stress. 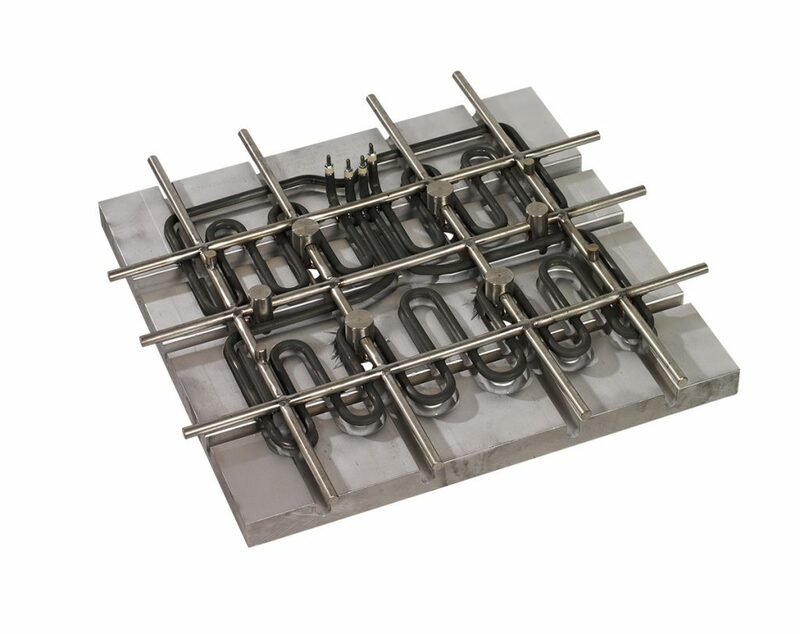 Heating elements can be fixed on a screw or flange or simply fixed to mechanical structure such as for cast in plate as illustrated. 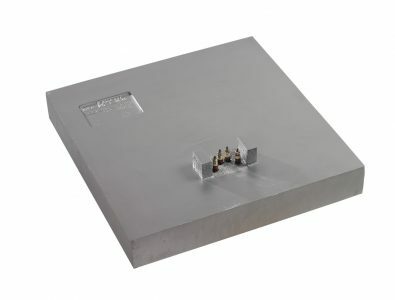 The elements can be supplied without enclosure for cabling on the customer’s premises. 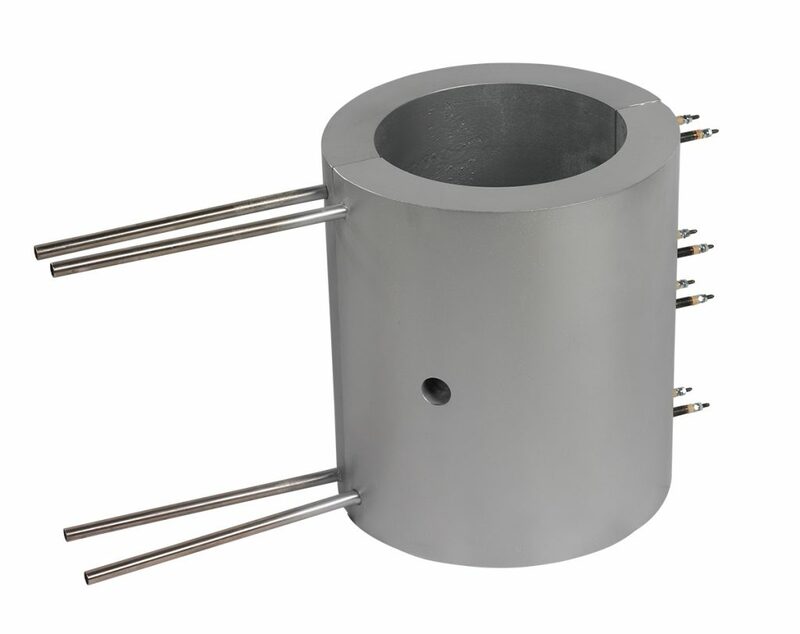 Temperature sensors (thermostat, limiter, thermocouple or PT100) in the alloy block (process control) or on the heating elements (safety control). 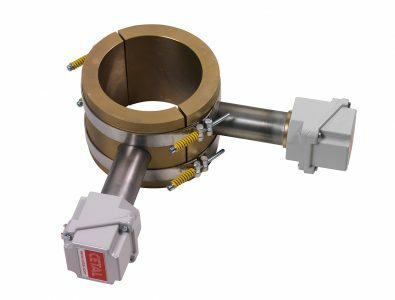 The heating assemblies are machined according to technical drawings and take into account tolerance values and surface finishing requirements. 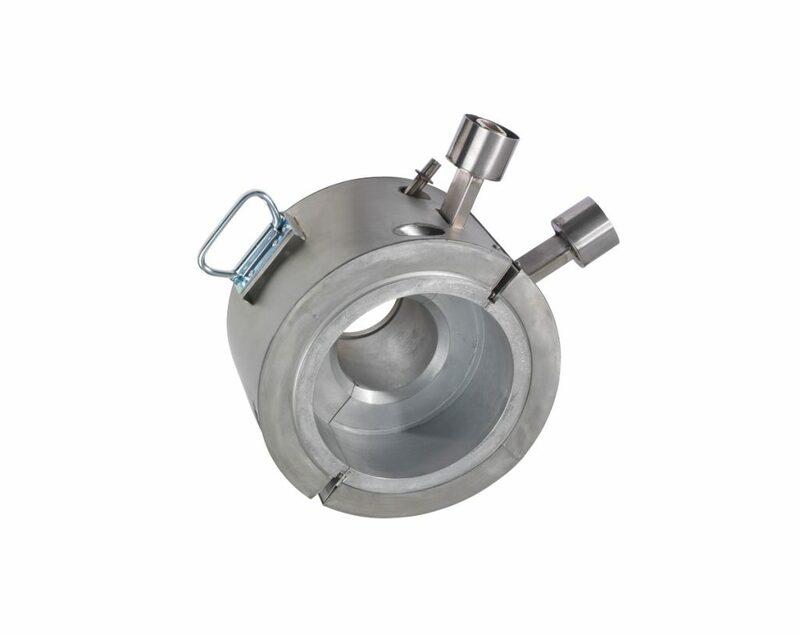 Manufactured according to specifications in small or medium-sized production runs. 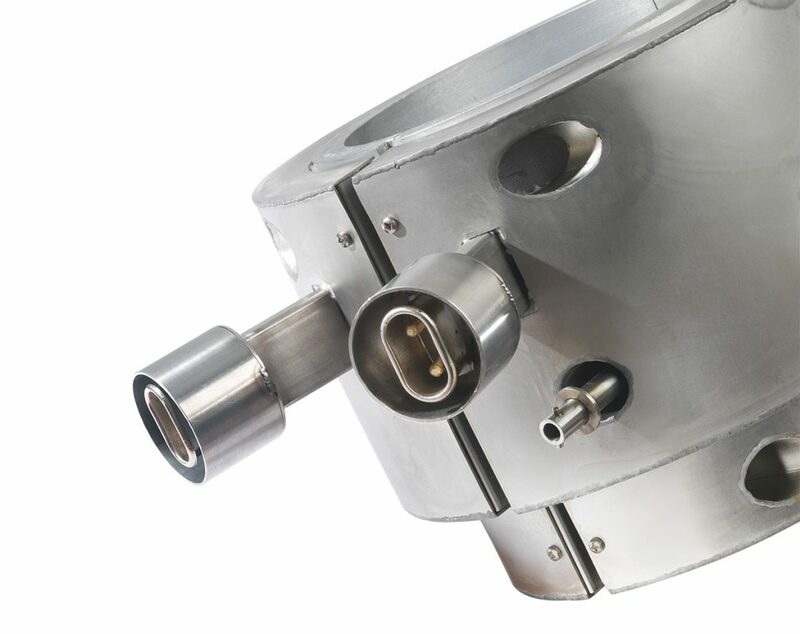 Temperature control : Temperature sensors (thermostat, limiter, thermocouple or PT100) in the medium (process control) or on the heating element (safety control), on the flange or in the connecting box. 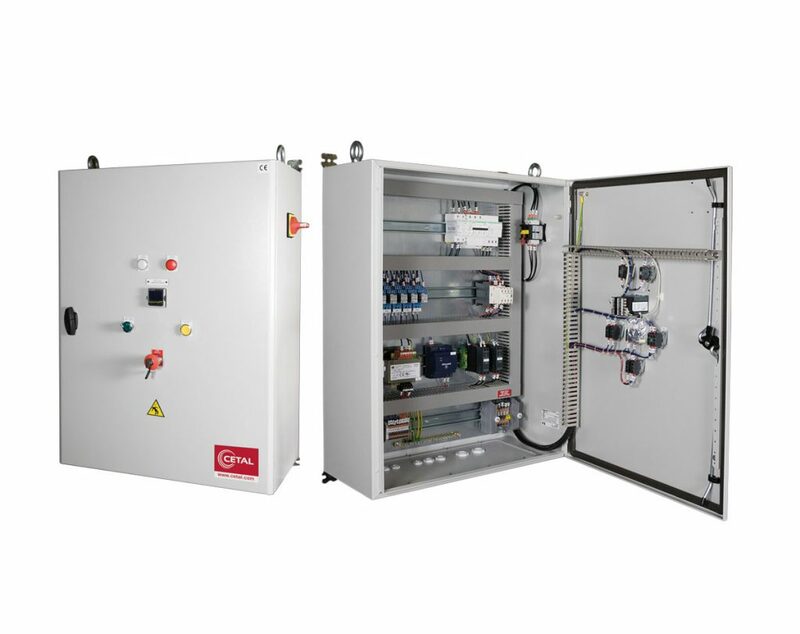 CETAL offers a large range of cost-effective power control panels. 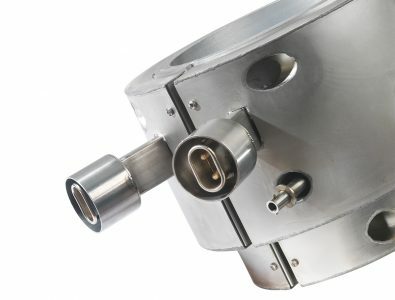 In addition to heater design, the use of specifically developed connection boxes allows to install the products in hazardous areas. 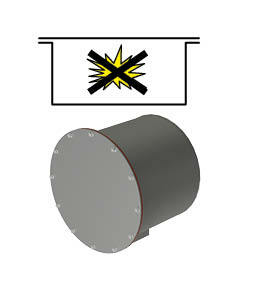 The increased safety protection mode “e” (EN60079-7) or the explosion-proof protection mode “d” (EN 60079-1), together with temperature control acc. to EN 60079-0, make it possible to operate the equipments in hazardous area (zone 1 and zone 2) for gases of the A-B-C groups. The following factors are selected depending on the internal free volume of the enclosure and the gas present in the area. Method: To prevent the occurrence of any accidental ignition source (electric arcs, heating).